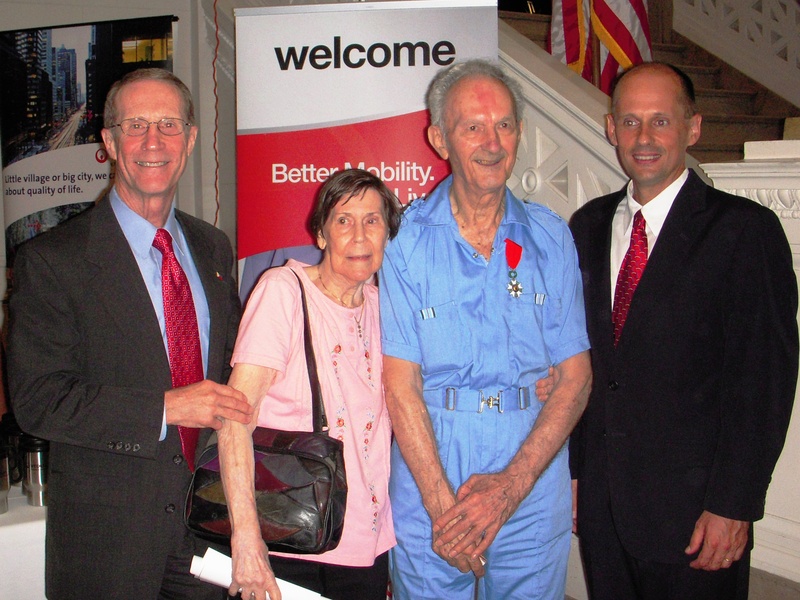 On July 14, the French Legion of Honor, the highest award presented by France, was bestowed by Olivier Brochenin, the French Consul General, upon Ivan Breaux of Kaplan, one of five Louisiana Veterans of World War II who were honored for their role in the liberation of France. The event was held at the New Orleans Museum of Art in New Orleans. Shown here are Warren A. Perrin, President of CODOFIL, Geneva Breaux, the honoree Ivan Breaux and Olivier Brochenin, Consul General of France.